DevOps sounds like an incredible prospect on paper, but actually implementing it can get pretty tricky. Many an IT director has been lured in by the promise of DevOps only to stumble on the execution, stunting any potential benefits. To be sure, there is a lot to like with DevOps, and when done correctly, it can transform IT operations into the model of efficiency. For many businesses out there, though, implementing DevOps on their own can be a difficult task. That’s where IT managed services swoop in to save the day. For any organization that struggles to push out software, either for internal or external use, DevOps promises to streamline processes, break down silos and foster a more collaborative and harmonious IT environment. That kind of radical improvement is hard to pass up for IT leaders, and naturally, demand has grown considerably over the years. In fact, just two years ago, Gartner proclaimed that DevOps was on the verge of becoming a mainstream IT strategy deployed by one-quarter of all Global 2000 companies. With technology evolving at a breakneck pace, and customer and end-user demands ramping up right along with it, businesses everywhere are racing to keep up. This requires previously unseen agility and velocity when it comes to software development, to say nothing of the ongoing need for high-quality products. Embracing a DevOps model can help companies meet user demands by producing incredible software at a regular clip. As Forbes contributor Chris Cancialosi explained, this is all a very delicate balance to strike, especially when one considers the organizational mindshift necessary to support DevOps adoption, and not all businesses are immediately prepared to manage DevOps practices properly. What kinds of issues do organizations typically run into when implementing a DevOps model? They can range from cultural obstacles such as a lack of buy-in from existing IT teams or executives to underlying technological issues. Under these circumstances, it’s not unusual for DevOps adopters to take half-measures, implementing aspects of this approach without fully embracing it. When that “DevOps-lite” strategy fizzles out, people may blame the concept as being fundamentally flawed. In reality, it was the execution that failed to stack up. Securing that organizational buy-in will be key, but it’s only one obstacle to DevOps nirvana. Addressing the technological element is arguably even more difficult for businesses, especially if their IT budget simply does not have room for sweeping changes to current IT infrastructure. How can they move forward? With the help of a DevOps-savvy manages services provider. The DevOps model simply cannot function as intended without the pervasive use of automation. Various workflows need to be automated in order to accelerate the production process without sacrificing software quality. Automated test scripts, for instance, allow teams to quickly assess code for errors without getting bogged down in time-consuming, manual processes. Furthermore, these tools allow other IT staff beyond quality assurance specialists to run tests, breaking down team barriers and cultivating a more collaborative environment. Another example of automation in action is in delivering new software builds to a production environment. Automation is especially useful for organizations employing offshore development teams in some capacity. When IT staff members are split across different continents, bottlenecks can quickly emerge as one team waits for another to complete their assigned task before moving forward. Automated workflows keep projects progressing and help avoid the kinds of setbacks that can turn into major delays. To really let DevOps shine, you need the ability to monitor applications and builds for a whole assortment of issues. These go beyond coding errors and minor bugs. There could be some pretty significant performance problems that severely impact the user experience. For example, software that gobbles up far too much RAM will be virtually unusable to anyone without a high-end machine. It’s easy to overlook those kinds of issues when teams are busy stamping out software bugs, but they can be extremely detrimental to the overall UX. Monitoring services from a qualified MSP allow teams to more comprehensively vet applications at every stage of development and check for performance concerns that might otherwise fly under the radar. DevOps-savvy MSPs can offer a wide range of services to meet the needs of any organization interested in implementing this incredible methodology. They can clear the technological and workflow roadblocks, clearing the way for DevOps success. 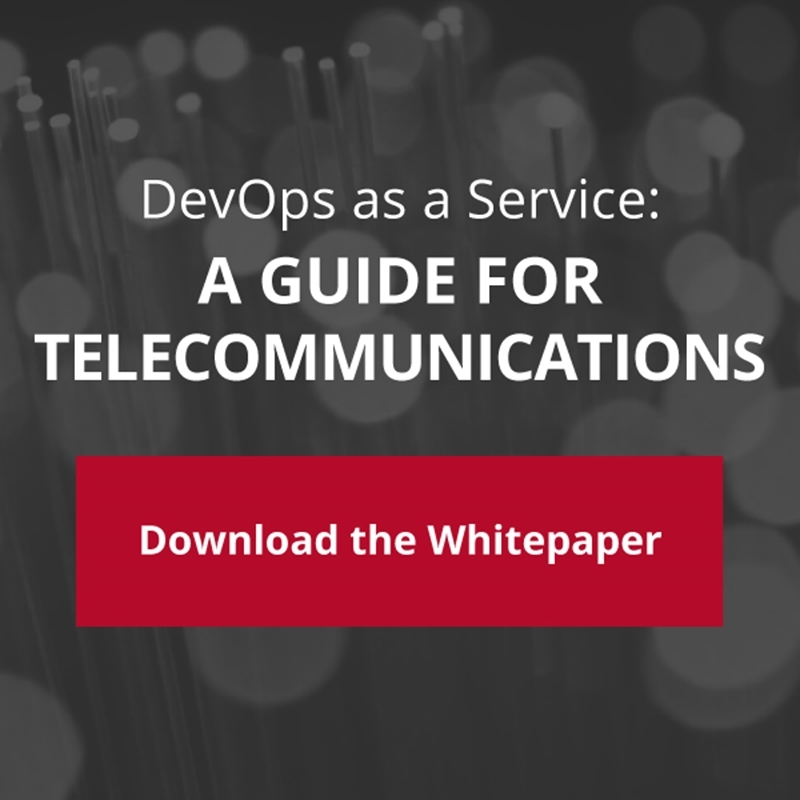 Why culture is everything in DevOps What are the best DevOps tools for telecoms?